After my first steps into AWS i did not find a way to run docker-swarm at AWS without installing the software on my own. (take a look here). At least you have to add task definitions to your dockerfiles to let them run on ECS. This is not really bad, but the idea was to move to a cloud provider and just run the microservices inside the cloud without caring about the infrastructure (Some people call this iaas or paas ;-) ). 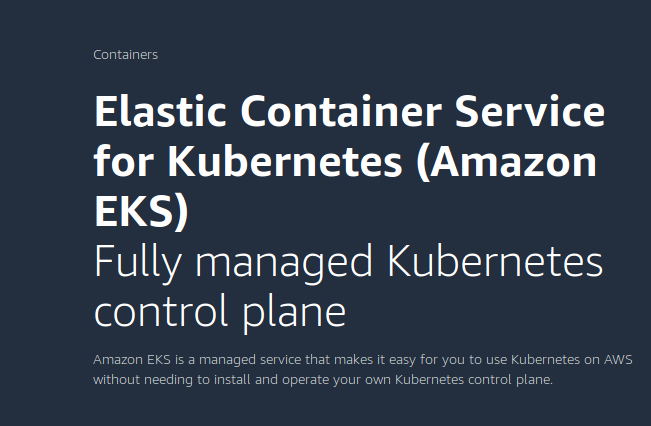 So the next step is get a microservice with kubernetes on AWS working. To do the docker setup once again only on servers which are running as EC2 compute nodes and not on my local virtualbox is not interesting. 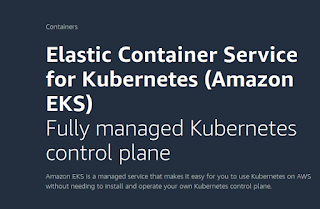 Last remark: EKS uses Kubernetes, which orchestrates Docker - so there is an AND for "Docker and AWS", AWS does not provide orchestration with docker-swarm, which was the orchestrator which i used.